What do guidelines and systematic reviews tell us about the management of medically unexplained symptoms in primary care? Medically unexplained symptoms (MUS) are symptoms for which the origin remains unclear despite adequate history taking, physical examination, and additional investigations.1 An estimated 3–11% of patients visiting general practice repeatedly consult their GP for MUS.2,3 MUS exist along a continuum ranging from self-limiting symptoms, to recurrent and persistent symptoms, through to symptom disorders.4 Although there are various terms for the condition, for example unexplained physical symptoms, functional symptoms, or somatoform symptoms, we have chosen to use MUS in this article because this is the most frequently used term. This review aims to address current problems with the management of undifferentiated MUS; specific syndromes within the MUS spectrum, such as chronic fatigue syndrome and irritable bowel syndrome, are excluded from discussion. The effects of many treatment strategies have been studied in recent decades. However, not all interventions are acceptable or feasible in routine primary care. In the light of the central role of the GP in managing MUS, we will discuss the importance of consultation skills and the effects of specific treatments in primary care. We will do this by way of a narrative review using available national guidelines and Cochrane Reviews in this field. In recent years several guidelines on MUS have been published: a Dutch multidisciplinary guideline (2010);11 a German multidisciplinary guideline (2012);12 Dutch13 and Danish14 general practice guidelines (2013); and multidisciplinary UK guidance for health professionals (2014).15 The Dutch and German multidisciplinary guidelines and the Danish GP guideline make use of the Grading of Recommendations Assessment, Development and Evaluation (GRADE) method to link levels of evidence to the recommendations included in the guidelines.16 The Dutch GP guideline and the multidisciplinary UK guidance for health professionals do not report levels of evidence in line with GRADE recommendations. According to the guidelines the following elements are important for the treatment of patients with MUS. All guidelines mentioned above specifically pay attention to the doctor–patient relationship and incorporate specific sections on this issue. There is high-quality evidence that patients with MUS present difficulties in the general practice encounter and challenge the GP–patient relationship;13,14 they frequently evoke feelings of frustration and irritation in GPs who experience difficulties in explaining MUS to patients. The Dutch multidisciplinary guideline states that a good doctor–patient relationship is associated with patient satisfaction and improved health outcomes, and is an important condition for a good treatment course.11 All guidelines recommend the strengthening of the doctor–patient relationship, which can be achieved by doctors recognising the patient’s illness, taking the patient and their symptoms seriously, and demonstrating empathy. All guidelines recommend a stepped-care approach. All guidelines state that the more severe or complex the symptoms and limitations, the more intense and complex the treatment needed for patient recovery. The most severely affected patients need a close collaboration between professionals with a divergent range of skills and expertise in secondary or tertiary care (that is, the final step in the stepped-care approach). Four recent Cochrane Reviews summarise the available evidence on the management of MUS in primary care. Van Dessel et al studied the efficacy of non-pharmacological (psychological and physical) interventions for MUS in adults 17while Kleinstauber et al assessed the efficacy of pharmacological interventions.18 Hoedeman et al assessed the effectiveness of consultation letters to support primary care physicians in their management of patients with MUS.19 Finally, Rosendal et al aimed to assess the clinical effectiveness of enhanced care interventions, delivered by professionals providing frontline primary care for adults with MUS.20 Recently, these reviews have been summarised as an illustration of the uncertainty in the management of MUS patients.21 In the sections that follow, we will describe the evidence from these Cochrane Reviews in a narrative way. We first describe evidence from efficacy trials involving specialised treatment, then evidence from effectiveness trials conducted in routine primary care. In a Cochrane Review from 2014 the efficacy of psychological treatments for MUS in adults was analysed.17 The meta-analysis comparing psychological therapy delivered in primary or secondary care (hospital and outpatient clinics) with usual care or placement on a waiting list found that the use of psychological therapy resulted in less severe symptoms at the end of the treatment. The Cochrane Review also demonstrated that, in the 14 studies analysed, cognitive behavioural therapy (CBT) delivered by specially-trained healthcare professionals in primary care or in specialised settings, is more effective than usual care. CBT reduces symptom severity, but effect sizes are small. However, effects seem to be sustained after 1 year of follow-up. Stratified analyses of other psychological treatment strategies (for example, problem solving therapy, behavioural therapy, mindfulness, or psychodynamic therapies) did not show significant effects based on a small number of studies. We conclude that psychological treatments, more specifically CBT, provided by specially-trained professionals reduce symptom severity in patients with MUS, but effect sizes are small. natural products, for example herbal remedies such as St John’s wort, may reduce the severity of symptoms and other secondary outcomes compared with placebo. Comparisons in this meta-analysis are based on a limited number of studies with small numbers of participants. Furthermore, participants were mainly recruited outside of primary care. The methodological quality of included studies is low and the risk of bias high. Therefore, we conclude that there is little evidence for the efficacy of medication for MUS in primary care. 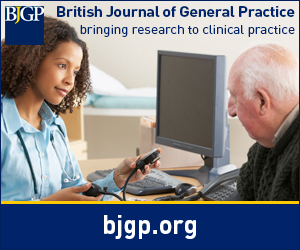 A Cochrane Review from 2010 on the effectiveness of consultation letters to support primary care physicians in their treatment of patients with MUS analysed six RCTs involving 449 patients.19 The authors reported limited evidence for improved physical functioning, but lower medical costs for an intervention consisting of screening by a psychiatrist followed by a letter providing the GP with advice on patient treatment. Joint consultation by a psychiatrist and GP, followed by a letter with advice for the GP, resulted in a slight reduction in the severity of the symptoms. However, all studies were performed in the US, study populations were small, and the studies were of moderate quality. the effectiveness of consultation letters is limited. Although largely based on consensus, the guidelines provide GPs with greater insight. The following specific communication skills are recommended: systematically exploring patient’s ideas, concerns, and expectations, and providing a targeted and tangible explanation for their symptoms. If patients have mild-to-moderate MUS, GPs should provide them with practical and constructive advice that is easily applicable to their daily lives, but the guidelines provide limited guidance on how to achieve this. Finally, guidelines advocate a stepped-care approach for all patients with MUS in which the most severely affected patients benefit from a multidisciplinary approach. The severity of the symptoms and the functional limitations guide the management options in the stepped-care model. It is important to notice that we did not include evidence from specific syndromes such as irritable bowel syndrome or chronic fatigue syndrome in this narrative review. A number of functional syndromes have been researched and evidence from this area may further contribute to our current knowledge about MUS in general. While CBT delivered by specialists has been shown to be effective, application of CBT by primary care professionals shows less effect. Regarding various implementations of reattribution techniques, evidence for patient benefit when applied by primary care professionals in routine care is lacking, but the techniques have not been tested in efficacy trials. An exploration of which techniques are feasible to apply in routine care and how to integrate them in primary care deserves more attention in future research. The clinical guidelines do provide some guidance, but their evidence base is limited and several barriers may prevent the application of the recommendations. For example, GPs consider explanation and reassurance important in patients with MUS, but may experience many difficulties in explaining symptoms constructively15 and providing patients with specific advice and self-management strategies.24 As training in enhanced primary care techniques leads to changes in GP attitudes and awareness of MUS,25 work is needed to translate the positive effects on the GPs into better patient outcomes. ways to deliver psychological treatment more effectively in primary care. In conclusion, current systematic reviews indicate that psychological treatment delivered by specialists, especially CBT, has the strongest evidence for patient benefit. Training GPs to deliver brief reattribution type interventions in routine consultations improves their skills and attitudes but there is no evidence of improved patient outcomes. Guidelines concur that doctor–patient communication is key; they emphasise the importance of exploring patients’ ideas, concerns, and expectations, providing acceptable explanations and offering advice on symptom management. Severe and complex cases should be managed in collaboration with specialists in a stepped-care approach. (2013) Medically unexplained symptoms: evidence, guidelines, and beyond. Br J Gen Pract 63(617):625–626, doi:10.3399/bjgp13X675241. (2006) Persistent presentation of medically unexplained symptoms in general practice. Fam Pract 23(4):414–420, doi:10.1093/fampra/cml016. (2014) Patients with persistent medically unexplained physical symptoms: a descriptive study from Norwegian general practice. BMC Fam Pract 15:107, doi:10.1186/1471-2296-15-107. (2017) 'Medically unexplained' symptoms and symptom disorders in primary care: prognosis-based recognition and classification. BMC Fam Pract 18(1):18, doi:10.1186/s12875-017-0592-6. (2007) Patients with persistent medically unexplained symptoms in general practice: characteristics and quality of care. BMC Fam Pract 8:33, doi:10.1186/1471-2296-8-33. (2003) Medically unexplained symptoms: exacerbating factors in the doctor–patient encounter. J R Soc Med 96(5):223–227, doi:10.1258/jrsm.96.5.223. (1996) 'I've been crying my way' — qualitative analysis of a group of female patients' consultation experiences. Fam Pract 13(6):498–503, doi:10.1093/fampra/13.6.498. (2004) Medically unexplained symptoms: perceptions of physicians in primary health care. Fam Pract 21(2):199–203, doi:10.1093/fampra/cmh217. (2005) Somatization increases medical utilization and costs independent of psychiatric and medical comorbidity. Arch Gen Psychiatry 62(8):903–910, doi:10.1001/archpsyc.62.8.903. (2017) Long-term outcome of bodily distress syndrome in primary care: a follow-up study on health care costs, work disability, and self-rated health. Psychosom Med 79(3):345–357, doi:10.1097/PSY.0000000000000405. Trimbos Instituut/Netherlands Institute of Mental Health and Addiction. (2010) Multidisciplinaire Richtlijn SOLK en Somatoforme Stoornissen (Ladenius Communicatie BV, Houten) [Multidisciplinary guideline medically unexplained symptoms and somatoform disorders]. (2012) . AWMF-Leitlinie zum Umgang mit Patienten mit nicht-spezifischen, funktionellen und somatoformen Körperbeschwerden – Leitlinienreport [German Guideline on Management of patients with non-specific, functional and somatoform symptoms.]. AWMF-Reg.-Nr. 051–001 2012 :(accessed 25 Jul 2017). http://www.awmf.org/leitlinien/detail/ll/051-001.html. (2013) NHG Standaard SOLK [NHG Guideline on Medically Unexplained Symptoms (MUS)]. Huisarts en Wetenschap 56(5):222. (2013) Clinical guideline for general practitioners (Birgitte Dansgaard, Komiteen for Sundhedsoplysning, Copenhagen). (2011) Guidance for health professionals on medically unexplained symptoms (Royal College of General Practitioners and Royal College of Psychiatrists, London). GRADE. , www.gradeworkinggroup.org. (accessed 6 Jul 2017). (2014) Non-pharmacological interventions for somatoform disorders and medically unexplained physical symptoms (MUPS) in adults. Cochrane Database Syst Rev 11, doi:10.1002/14651858.CD011142.pub2. (2014) Pharmacological interventions for somatoform disorders in adults. Cochrane Database Syst Rev 11. (2010) Consultation letters for medically unexplained physical symptoms in primary care. Cochrane Database Syst Rev 12. (2013) Enhanced care by generalists for functional somatic symptoms and disorders in primary care. Cochrane Database Syst Rev 10, doi:10.1002/14651858.CD008142.pub2. (2017) How should we manage adults with persistent unexplained physical symptoms? BMJ 356, doi:10.1136/bmj.j268. j268. (2016) Evidence-based medicine — an appropriate tool for evidence-based health policy? A case study from Norway. Health Res Pol Syst 14(1):15, doi:10.1186/s12961-016-0088-1. (2017) Helpful strategies for general practitioners seeing patients with medically unexplained physical symptoms. Br J Gen Pract doi:10.3399/bjgp17X691697. (2009) Explanation and relations. How do general practitioners deal with patients with persistent medically unexplained symptoms: a focus group study. BMC Fam Pract 10:68, doi:10.1186/1471-2296-10-68. (2003) Diagnosis of somatisation: effect of an educational intervention in a cluster randomised controlled trial. Br J Gen Pract 53(497):917–922. (2014) Health care professionals' reactions to patient pain: impact of knowledge about medical evidence and psychosocial influences. J Pain 15(3):262–270, doi:10.1016/j.jpain.2013.11.002. You are going to email the following What do guidelines and systematic reviews tell us about the management of medically unexplained symptoms in primary care?